Supply chain standards organisation GS1 and the Open Mobile Alliance (OMA) are calling for input into their work on a new set of barcode specifications to support developers in providing scanning apps for mobile devices. The two organisations aim to launch the new specifications next year. They already have a number of companies onboard, including Fujitsu, NEC and AT&T, and are now asking others to join in. GS1 and OMA are basing the work on existing standards to make it easier for application developers to link apps to trusted content and to release them more quickly and at a lower cost. Universal scanning of standardised barcodes. Built-in code scanning using a smartphone's camera, including from within third party apps through an application programming interface (API). Linking barcodes with content trusted by the codes' owners. Support for collection of user analytics. GS1 and OMA claim the this will make it easier for application developers to link apps to trusted content, as well as releasing them quicker and at a lower cost. They say consumers will benefit through a new generation of more intuitive applications. GS1 manages the system of product barcodes used by nearly 2 million companies on billions of products across the world. 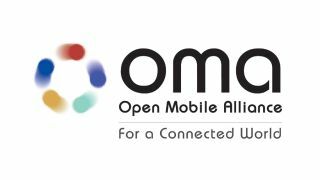 It has been working with the OMA, which creates mobile standards and APIs, since 2011. A GS1 representative told TRPro: "Current application developers need to build or licence bar code scanning software for their apps, which adds extra complexity and maintenance to their development. Being able to exploit a capability that is already built into mobile devices will make this simpler." They added: "The new standard will be created by the OMA with active contributions from relevant companies and from GS1." Bryan Sullivan, OMA Board of Directors Vice Chairman, said the industry is working with a barcodes ecosystem that is fragmented by non-standard solutions. "This specification will enable application developer innovation for the mCommerce and mobile advertising industry, allowing companies to develop interoperable and scalable applications," he said. A study by Comscore in September found that the UK ranks below Spain, Italy, Germany and France in terms of the number of smartphone users scanning Quick Response (QR) codes with their mobile devices. France had the most number of users, while Spain ranked as the fastest growing market.